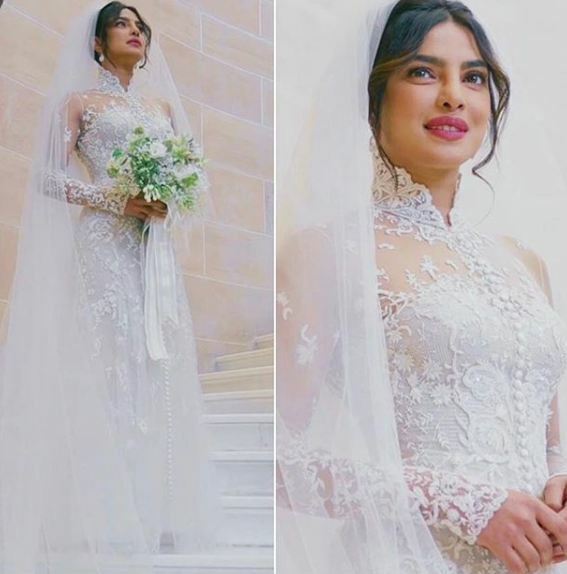 Priyanka Chopra and Nick Jonas are married after a whirlwind romance that set the temperatures soaring in India and abroad. The two lovebirds who are now busy enjoying the first flush of their married life are in news for all the right reasons. 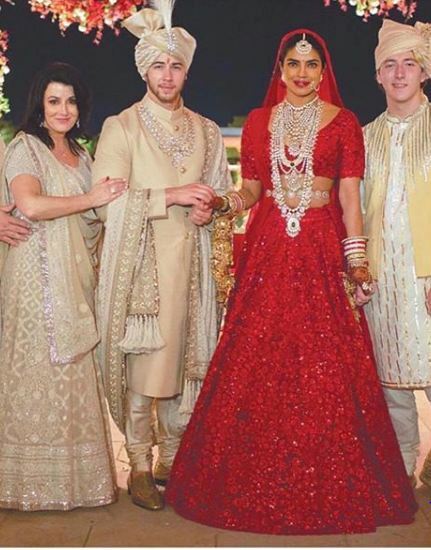 Nick and Priyanka enjoy a cosy wedding. 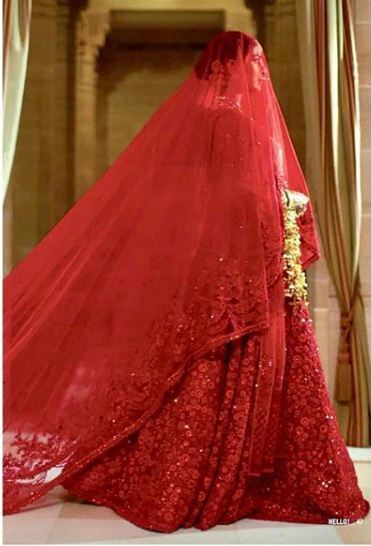 The gorgeous bride in red. Red is an auspicious color and signifies strong bond with the husband. 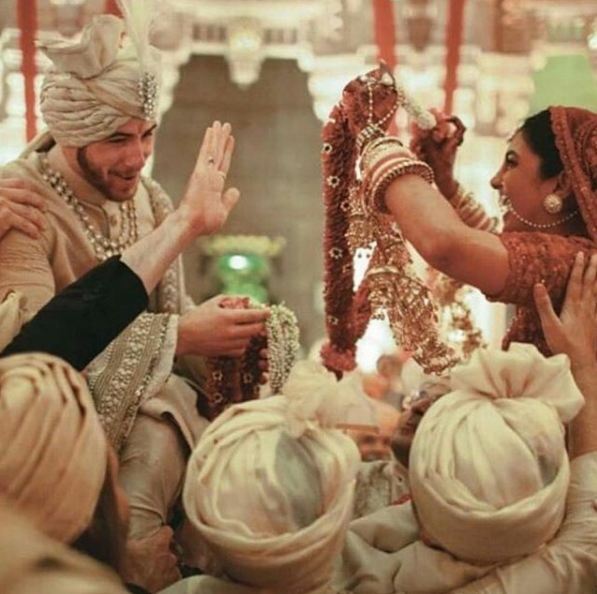 The Jaimala ceremony saw smiles and much laughter. Waiting for taking the pheras. With none other than the Prime Minister of India, Narendra Modi! Nick couldn’t believe his luck. Take a look at this little moment of togetherness and a lifetime of love. Priyanka’s lovely lehenga and her Mehendiehendi gives the glow to her aura. Many will be surprised but an American publication by the name of ‘CUT’ recently published a rather disgusting article dissing the two to which it is getting slammed worldwide. Joe Jonas even slammed the article which claimed that Priyanka is a ‘global scam artist’ and told ‘The CUT’ that it should be ashamed to ‘have someone write such evil words. 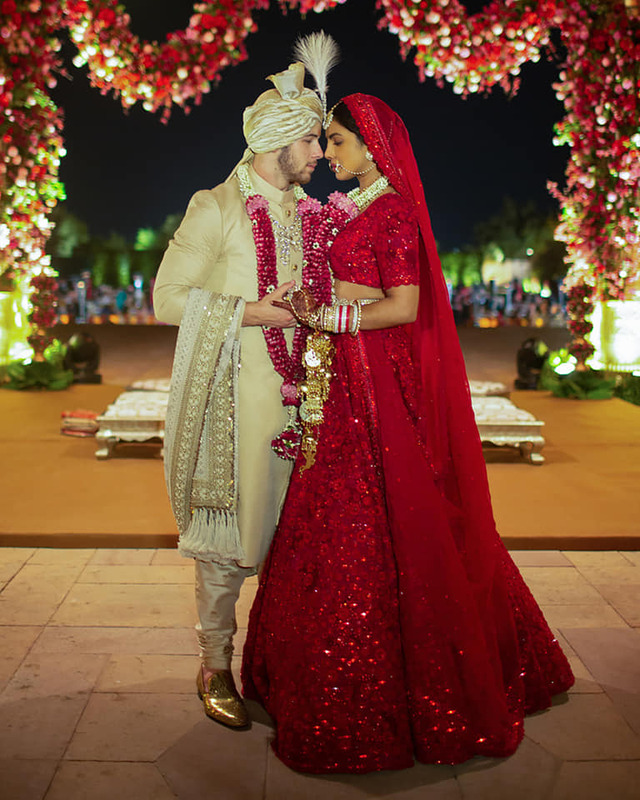 What Nick and Priyanka have is beautiful love’ while others are calling it sheer racism and bigotry but Priyanka Chopra and Nick Jonas are unperturbed and are busy enjoying their life as a newly married couple. The lovely bride in white. This wedding was as per Christian traditions. Cutting the Christian wedding cake! The Jonas family with the latest entrant Priyanka Chopra. 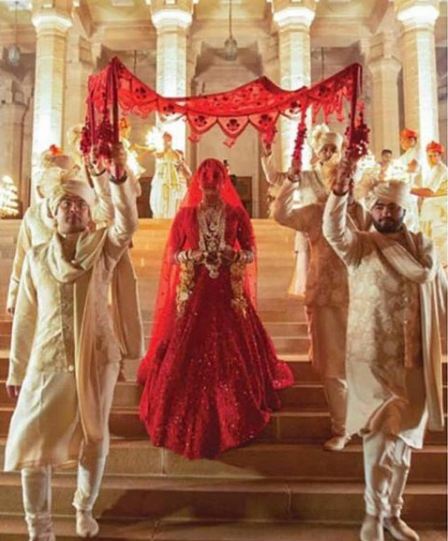 The bride walks towards the mandap to take the pheras and vows as per Hindu traditions. 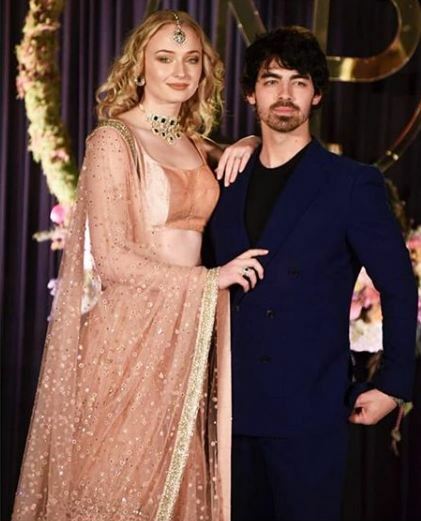 Sophie Turner also looked great in Indian attire, We would have loved to see Joe Jonas in Hindu/Indian wear as well.